Spirits trends are ever-changing so we at BI make it our business to know everything: we know where to buy Macallan Lalique, when to buy a whole cask of whisky, how to make the perfect Old Fashioned, who makes the oldest Calvados, where to get Louis XIII Black Pearl, who to borrow ice from at 17.35pm on a Friday and how to ship a cask to Argentina. We know the difference between peat, ppm, phenols, xylenols and we know when that just isn’t important. 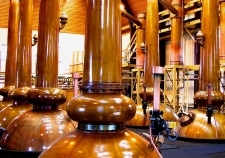 We have specialist direct supplies of hard-to-find spirits and a global insight into consumption and investment trends; with offices in London, Hong Kong, Singapore and Los Angeles, as well as a rapidly growing international customer base, we have access to some of the finest whisky collections on earth. All spirits listed are our own stock. Due to high turnover of bottles, our online list represents just a limited selection of what we are able to offer so please email spirits@biwine.com for specific requests.